We’ve all been there. Sitting in a meeting with a supplier who doesn’t yet have your business, and they have fancy brochures and incredible presentations that can be truly mesmerizing. They’re really good at what they do. Of course, it’s the sales people presenting……….not the operations people, who have to actually deliver the work. That’s one of the reasons why I will only negotiate with operations professionals from the other side involved. But there is always that fear, the very real fear, that the supplier is giving a dog and pony show and when the rubber meets the road, their actual deliverables will be a far cry from that mesmerizing presentation. What do you do in this situation? Well, that question requires a 4 or 5 day answer, usually in-house. The reason is that there is not ONE answer, and it requires a complete change in approach that has to be woven into the fabric of the organization, or it won’t work and it won’t stick. However, I’ll get into high level aspects. You’ve heard me say it many times, and I’m the ONLY one who is saying this: The #1 problem in procurement today is we are buying goods and services instead of performance results. I know, because I work with major companies all over the world, and the business case is overwhelming. It’s the root cause of nearly all of our problems in procurement today. The contract you are signing has a clause called “Entire Agreement”, which invalidates EVERYTHING the supplier promised in their presentations, brochures, testimonials, expected results, etc. None of that is binding. None of it. And that clause is in YOUR contract template. You better watch out. So that means your agreement needs to be articulated for performance results instead of goods and services. How do you do that though? End users need to be trained to stop asking for “things” and to start asking for outcomes. Otherwise, they will ask for “things” and then complain post-contract about the results, right? So why wait until after the supplier has your money to define those results? You need to get them to identify those results up front so you can negotiate and contract for them instead of react to them after the supplier has your money…. and after the contract is written with an Entire Agreement clause that cuts the wrong way. This means having a procurement mission, success metrics for the purchase, payment tied to performance results, and pre-defined remedies for failure to perform. All things suppliers prefer not to talk about. Watch to see how the supplier responds to that statement. If they squirm or hesitate, you know you are on to something. 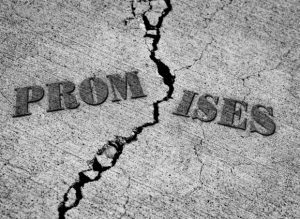 Make supplier performance promises binding. Another situation arises however when the supplier promises X and you think they can only deliver Y. Assuming you find Y totally acceptable but would also welcome X (what the supplier is promising) and would be willing to pay for it, you can strike a contingency contract. Let’s look at an example. You can learn a lot from watching sports negotiations. I like analyzing National Football League (American football) negotiations. It’s fascinating actually. I dissect every major negotiation for learnings. Just this week, I saw a team trade a very good running back to another team. The team receiving the running back would give the other team a 6th round pick in the 7 round draft of college football players. However, this 6th round pick will turn into a more valuable 5th round pick if certain performance incentives are met by the running back. But the 5th or 6th round pick would be given in the 2020 draft – not the 2019 draft later this month. Why? Because both teams want to see how this running back plays for one year on the new team. They probably debated over his worth based on anticipated production. So they struck a deal that both sides expected to win. And guess what, if the receiving team ends up giving up a more valuable 5th round pick, they should be thrilled, because that means their new running back really performed well! That’s how contingency contracts should work. You pay for what you expect to get, and if the supplier promises the moon and the stars – which you’d love to have – then put a provision in there that they get more money if they really do deliver that. But if they don’t, they have to agree to your pricing provisions. It’s a great way to make deals happen, and it has plenty of application in our procurement world. Use this knowledge to make your department better. Procurement needs to stop being viewed and treated as a cost center and needs to be and be perceived as a Value Added Center Of Profit! Toshiba, Fujitsu, IBM, Wipro, Vattenfall, Walmart, Target, Rolls Royce, Valvoline, Roche, Cummins, McCormick, Sun Pharmaceutical, Schneider Electric, Vodaphone, Bank of America, and many more.